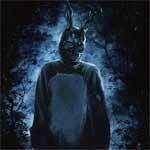 Not going out on a limb to say that Donnie Darko is a transformative kind of movie, one that even so many years later still holds up so well and features tremendous performances from most involved. 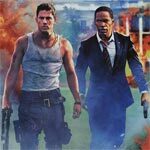 White House Down is a forgettable action movie which heavily borrows from other, often better, movies most notable Die Hard. The acting isn’t bad though Foxx and Tatum don’t share great chemistry and the screenplay is riddled with lame lines that don’t hit their mark and don’t get me started on the plot. 40 Days and 40 Nights is certainly an OK romantic comedy with a unique premise but the execution could’ve been better. The saving grace is for the cast from top to bottom with Hartnett, Sossamon and the variety of quirky supporting characters. With the regards to the Blu-ray, the picture is pretty bad and I doubt it’s much better than the DVD version while the audio is OK but nothing special. Crazy Heart may not live up to my expectations in terms of both the story and Jeff Bridges’ performance but at the same time it’s still a good movie, just one that should have been better. The film is competently directed as Scott Cooper incorporates the beautiful south and southwest landscape.